Similar to any kind of travel, there are pros as well as cons when choosing the right cruise. With numerous cruise lines, types of cruise and destinations to choose from, the most excellent method of booking is to whittle down all the alternatives by deciding what type of cruise matches your needs. Would you go for a larger, lively ship which provides countless activities and facilities – from spas with ocean views, large gyms, toddler and teen clubs, entertainment shows, bingo, casino and other west end-style spectacles? On a bigger cruise ship, the passengers generally enjoy the freedom to consume meals at any of the main restaurants in the ship. Self service is also available during different hours. Wearing formal attire is usually not required during dinner. Prices that are currently being offered by a larger ship could be significantly lower compared to smaller ships. In addition, in case of turbulent seas, you will feel safe when in a larger ship. On the other hand, some people prefer a low key ambience. For this reason, they choose a smaller ship which can access several ports that a larger ship cannot. Perhaps you’d want to celebrate an event or a milestone. 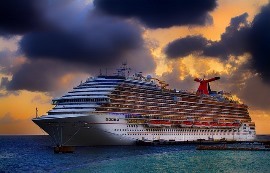 This can be done by splurging on a luxurious cruise, where there is a higher ratio of crew-to-passenger. If you’re travelling on your own, you might appreciate being in a ship that answer the needs of single cruiser. Most cabins are commonly setup for 2 people or even more, but if you are travelling alone, selecting a smaller room could reduce your expenses by over 70 percent. Several cruising companies have started adding solo cabins which are a lot cheaper. Others propose get-together evenings especially for single gentlemen to partner with solo ladies right on the dance floor. There are world cruises and short cruises. If you are a first timer and you’re not quite sure as to whether or not a particular cruise would suit your needs, the best thing to do is to find a company that will let you test the water first. So, how long do you wish to spend cruising? Remember that many cruises last between 7 to 21 days. However, round the world cruises would mean you’ll be onboard the ship for a period of 4 – 6 months. Before signing up, you have to know the holiday price as well as the cost of excursions, drinks and gratuities. There are other extra costs that are involved here so you have to learn more about them. But, have you ever thought about your safety aboard the cruise ship? This can be answered when you have cruise travel insurance. This type of insurance will cover the financial cost of any damage or injury that might happen to you or caused by you while on-board the ship. A cruise travel insurance is very popular nowadays especially for people who enjoy travelling aboard luxurious cruise ships.